What's New at Detailz Salon ?! Introducing the new Professional Supersilk System! This smooth-to-straight solution is safe and luxurious for your hair. You will absolutely love the results you get, lasting 8-12 weeks! Welcome our new Awapuhi line! 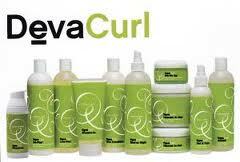 Perfect for repairing and reviving dry or damaged hair. You will love the results from this product! Book a salon exclusive keratin protein treatment with us today! Yes, no more repetitive radio, no more same old magazines, no more just starring at yourself bored. We still chat with you, but now you never have to miss out on whats current and time just flies by! Have the convenience of coming to the salon and relaxing to a good show. Feel free to book your evening appointment now and not miss out on your favorite show! No need to get ahold of us with the chance of someone else taking your wanted appointment before we get back to you. Do it yourself! Choose your options, pick what time works for you, and book online now.